Meat Boy and Bandage Girl have grown as a couple since 2010. It seems like only yesterday the two love birds were escaping from an exploding laboratory in the sky. Now it’s the current year, and they’ve welcomed their daughter Nugget into the world. Their peaceful days enjoying life as a family came to an abrupt end when Dr. Fetus beat the snot out of them with a rusty shovel, and kidnapped Nugget! Now it’s up to Meat Boy and Bandage Girl to rescue their daughter from a lunatic fetus in a jar that can only be described as an incel version of Tony Stark. 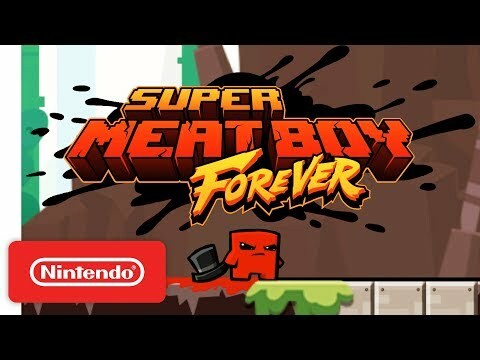 The upcoming Super Meat Boy Forever PS4 release date is May 2019 in the US and the UK. Notify me when Super Meat Boy Forever PS4 is available.